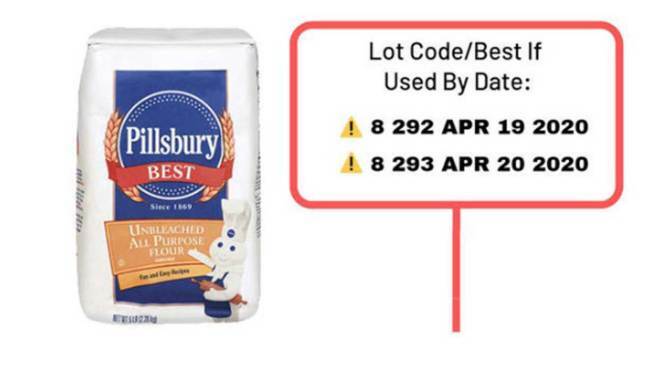 Pillsbury Unbleached All Purpose Flour with a “better if used by” date of April 2020 has been recalled due to fears of Salmonella contamination. Hometown Food Company has recalled select Pillsbury Unbleached All Purpose Flour products because they may be contaminated with salmonella, NBC News reported. The flour products were sold at a limited number of stores nationwide, including Publix and Winn-Dixie, which posted the voluntary recall on its website. About 12,185 cases of flour were affected, according to the notice on the Publix website. The affected flour comes in five-pound bags and has a "better if used by" date of April 2020. There have not been any reports of illnesses.